The next parish council meeting is Wednesday 5th April from 8pm in Bluntisham Village Hall. The draft minutes from the recent finance meeting held on Monday 27th March are now available to view. The agenda is now published for the next finance meeting. Click here to access. 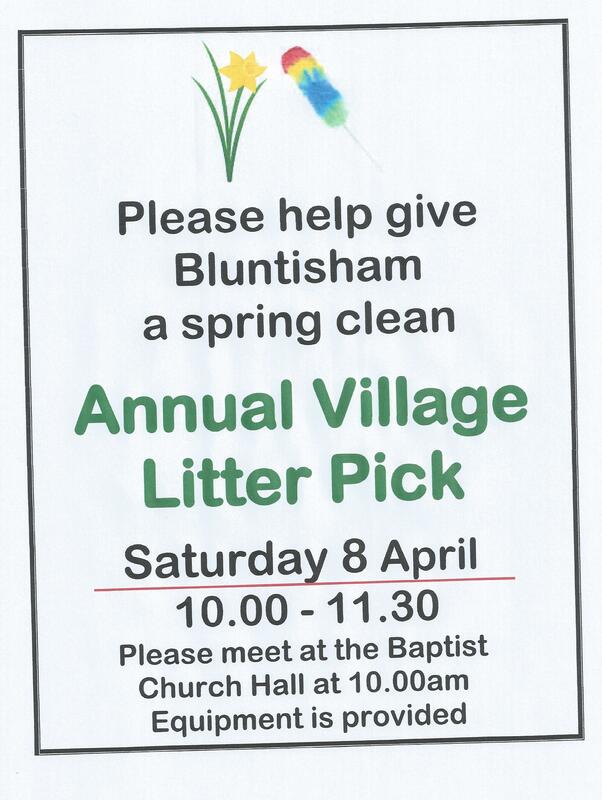 All welcome to the meeting which starts at 8pm in Bluntisham Village Hall. 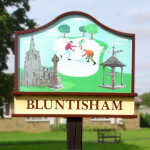 The neighbourhood watch coordinator for Bluntisham is Mrs Margaret Lumb. Anyone interested in joining the Neighbourhood watch team please call or email margaret.lumb@tesco.net or 01487 841687. Regular meetings are held in Bluntisham Village Hall, the next meeting is Wednesday 12th July. Saturday 8th April from 10am meeting at the Baptist Church hall. 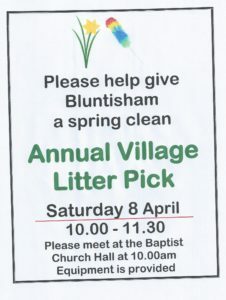 Come and help clean up your village. The minutes from the parish council meeting are now available to view. Click here to access.